Each year, Americans observe National Hispanic Heritage Month from September 15 to October 15, by celebrating the histories, cultures and contributions of American citizens whose ancestors came from Spain, Mexico, the Caribbean and Central and South America. The observation started in 1968 as Hispanic Heritage Week under President Lyndon Johnson and was expanded by President Ronald Reagan in 1988 to cover a 30-day period. It was enacted into law on August 17, 1988, on the approval of Public Law 100-402. On October 4, the School Board will recognize the eight high school students below for their successes in school and life and their leadership abilities. Sulma is an excellent student and a leader in our school. She balances school, work and family beautifully. She is always positive, upbeat, and considerate. She has been a leader in our Key Club for two years and has helped mentor several students into leadership roles. She models the values we try to instill in our students – empowerment, self-direction, determination, and academic skills. She is diligent in her studies and is incredibly reliable. She is the perfect representative of our school for all of her positive qualities. The fact that she balances all of this while working full-time is amazing. 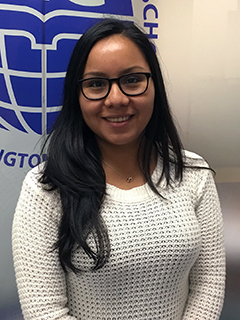 Heylin is an outstanding student who has demonstrated significant leadership and growth since she arrived from her country four years ago. Heylin has faced many challenges, all of which she has faced with amazing courage and perseverance. Heylin has served on the HILT Institute Student Government. She has facilitated workshops for our school that have promoted collaboration and kindness among students. Heylin completed two years of Early Childhood Education and passed the Para-Pro credentialing test. She is a web-designer with clients and has earned CIW Advanced HTML5 & CSS3 Specialist certification. She also has acquired dual enrollment credits through PreCalculus, Early Childhood, and IT courses. Heylin is currently working for a non-profit organization advocating for civil rights of immigrants in the community. Heylin’s enthusiasm for learning is contagious. 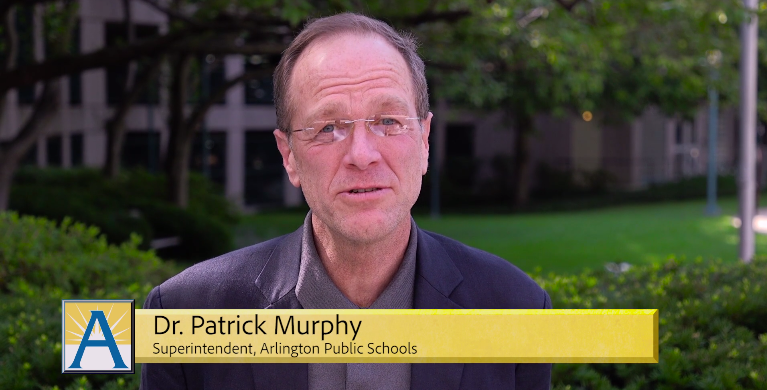 She is a valuable asset to our school community. Erika Perla moved to Arlington four years ago from El Salvador to join her family here. When she enrolled at H-B Woodlawn, she knew no English and was understandably very shy. 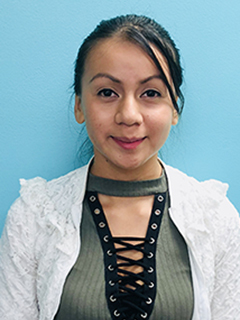 Through her hard work and tireless persistence, Erika is now proficient in English and she will graduate proudly in 2019. Erika plans to continue her education at Northern Virginia Community College next fall. In addition to being an excellent student and focusing on her studies every night, Erika is very dedicated to her family. She has two younger brothers also enrolled in APS. Erika is always a great help here at H-B Woodlawn in welcoming and assisting new students, as she never forgets what is was like to be the new, shy arrival all those years ago. 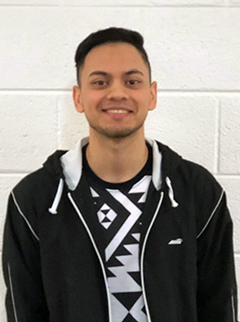 Alex Contreras was born in the United States; however, moved to Guatemala when he was young. In 2014, he returned to the United States. He attended Washington-Lee High School, and is currently dually enrolled in Langston and the Career Center. Alex is a very responsible young man and holds a 3.0 GPA. In the future, he would like to become an electrician. Cristina emanates resiliency and leadership. Since her arrival to the New Directions program she has experienced personal and academic success. 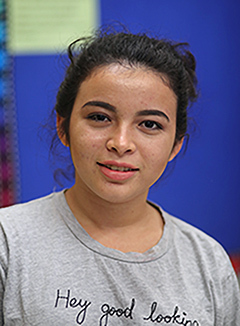 Through the support of her family and New Directions, as well as, her willingness to grow as a person, Cristina has greatly improved her GPA, making honor roll every quarter while in attendance at New Directions. Cristina has also excelled in her Cosmetology class earning a gold award for esthetician. She also represented Arlington Public Schools in a state-wide competition in Virginia Beach – Skills USA. Cristina will graduate from Wakefield High School in June of 2019 and is going to pursue certifications in both Cosmetology and as an Esthetician. Cristina is also interested in Business Management at NOVA. Cristina’s future is bright. We look forward to hearing all the amazing things she will accomplish. Cristina, congratulations! Ileana Mendez Espinoza is a senior at Wakefield High School. Ileana is always willing to help fellow Warriors make good decisions. Last year during one of the 10th grade assemblies, she quieted the auditorium filled with excited 10th graders and calmly talked to them about making responsible and informed decisions when selecting their classes. Ileana is a model student. She has excelled each year while taking the most rigorous classes and participating in several clubs and sports. She participates in The Equal Club, Ultimate Frisbee, and the Wakefield Softball Team; she is also the Manager for Girl’s Soccer and and the Secretary for Girl Up. She is also a leader in Upstanders, an anti-bullying group. 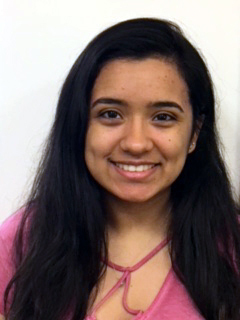 Ileana plans to go to a 4-year college and major in Biochemistry, and she earned AP Biology Student of the year last year. She completed a volunteer internship with MedStar Georgetown University Hospital and volunteered for the Lymphoma Research Foundation Bike Ride. Ileana plays the guitar every day. She also runs for at least an hour a day and loves to go to baseball games with her grandpa. We will be sad to see Ileana leave Wakefield next year, but are very excited about the bright future that she has ahead of her. 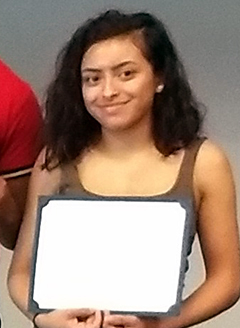 This year Washington-Lee High School recognizes Jocelyn Calderon-Leiva as our Hispanic Student Leader. When asked to represent the school in any activity, she always does it with a smile. Jocelyn has always exhibited the characteristics of a student who contributes to society in positive ways. This is evident in many ways, including serving as a member of my Student Advisory Board for four years and contributing greatly to the decision-making process. Jocelyn’s contributions to Washington-Lee are significant. She takes her role as a student leader seriously and sets out to enact positive change. Her teachers and peers have come to know her as an excellent student and leader. In all my 16 years, as principal of Washington-Lee, I don’t think I have ever seen a student who smiles as wide and as often as Jocelyn – she brightens my day every time I see her. Jade Northover is an excellent representation of leadership. 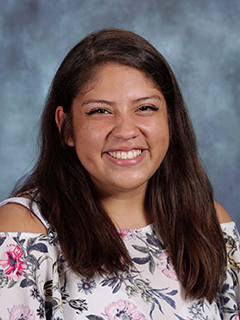 She has been a member of Yorktown’s Latinas Leading Tomorrow (LLT) since freshman year, served as the Vice President of Happiness last year and will be the President of LLT this year. Jade is also active in Yorktown’s Sister Circle and served as Vice President last year. 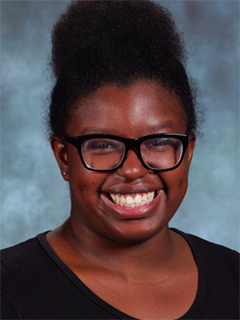 Jade’s leadership and positive energy resulted in her being selected to be one of two students representing Yorktown at last year’s Minority Student Achievement Network (MSAN) National Conference. She is a member of Yorktown’s Student Government Leadership Team and an active member of the SOAR Cohort Program. This past summer, she volunteered with the AMIGOS program in Costa Rica. She is a Posse Scholars Nominee and an all-around fantastic young lady. She speaks up when she sees injustice and works to make things right. She regularly reaches out to new students or those who are marginalized to help them feel welcome and included at Yorktown; although she has no leadership title for these behaviors, this is a true mark of her character. Her bright smile, optimism, and empathy help make her a star!